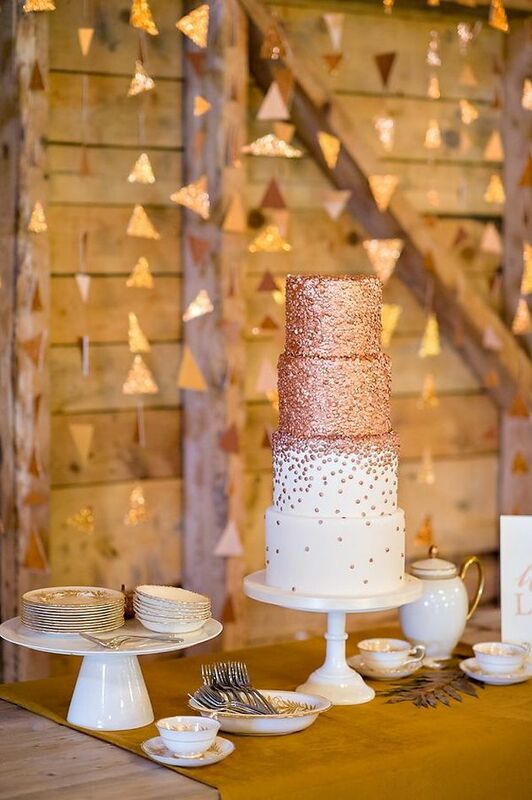 Fun Dessert Alternatives to Wedding Cake! 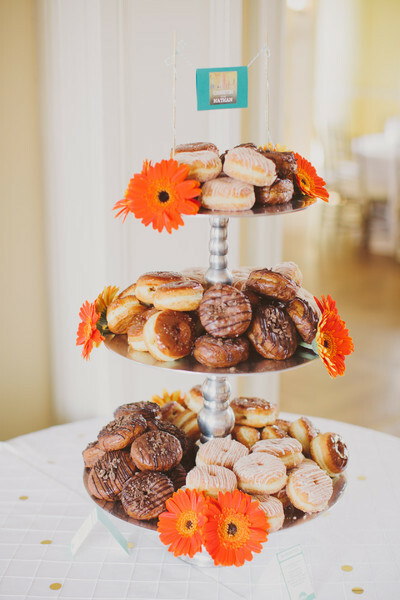 A big trend at weddings the last few years is replacing wedding cakes with dessert bars. Wedding cakes are expensive and don't always taste great. Plus, most people won't stop to grab a slice to eat so you face the possibility of having tons of cake leftover. Here are some fun and easy alternatives to plain old wedding cake! 1. Mini Desserts: People love being able to just grab their desserts and head back to the dance floor. Mini (or bite size) goodies gives them this chance. This will also give you the option of having different varieties of desserts instead of just one thing. 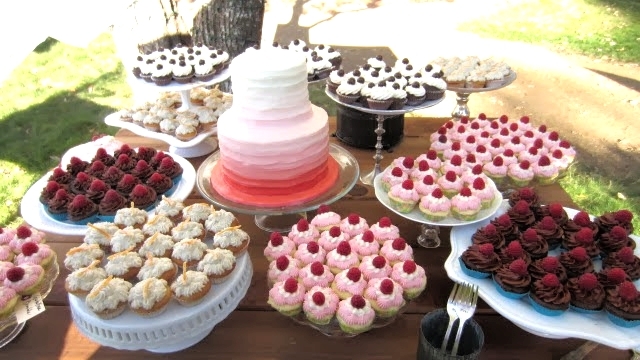 Some options include mini cupcakes, mini pies, mini cheesecakes and baby tarts. 2. 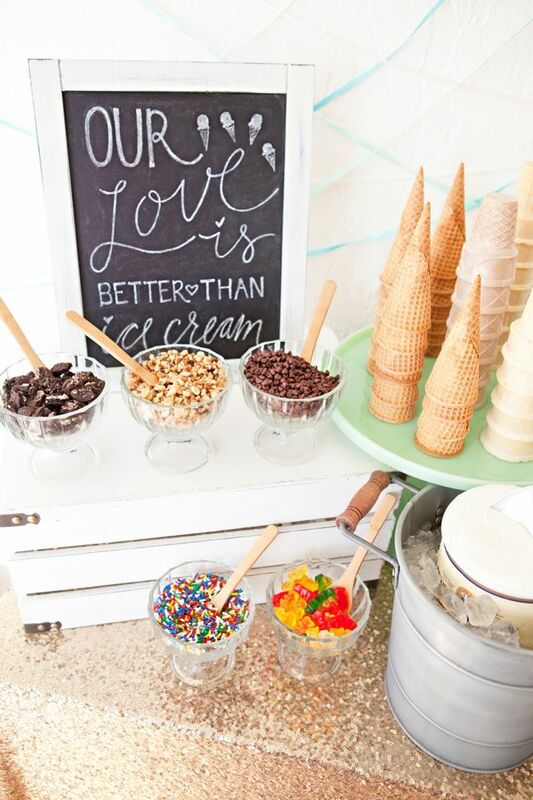 Ice Cream: Ice cream is the best way to cool your guests down at a warm summer wedding. You can have your favorite ice cream shop cater or build your own ice cream bar. Pick out a a few of your favorite flavors, grab some fun toppings and let the guests build their perfect sundae! 3. Chocolate Covered Strawberries/Rice Krispies/Macaroons: Some other fun and cute alternatives for your guests to munch on. The strawberries can be dressed up a bride and groom. Macaroons come in all sorts of fun colors that you can match to your color scheme! Still want a cake? You can turn all of these desserts into a fun and original cake! 4. Smores: Who doesn't love roasting smores? Ask your caterer to help you set up a couple sternos and put together a smores bar with chocolate, marshmallows and graham crackers. Your guests will have a blast custom making their own treats! 5. Traditional: A great way to celebrate you or your significant other's heritage is by serving a traditional dessert from their native land. Italian cannolis, Greek desserts like baklava, honey pie and loukoumades and croquembouche (a popular French dessert) are all unique options. Look up what each country would traditionally serve at a wedding or special occasion and then talk to your local bakery (or better yet, find a traditional bakery near you). Your guests will love trying something new all while celebrating your heritage. 6. Whoopie Pies/Ice Cream Sandwiches: Great grab and go desserts. They can be pre-made or the guests can choose their favorite cookies and pick the ice cream/cream filling and make their own! 7. Cake Pops/Pie Pops: Still want cake at the wedding but want something fun and different? Cake pops (or pie pops) are the perfect compromise. You can still have all your favorite flavors and give them cute designs, while your guests can enjoy a one bite dessert! 8. Bundt Cakes: Bundt cakes are the new, fun alternative to a traditional cake. 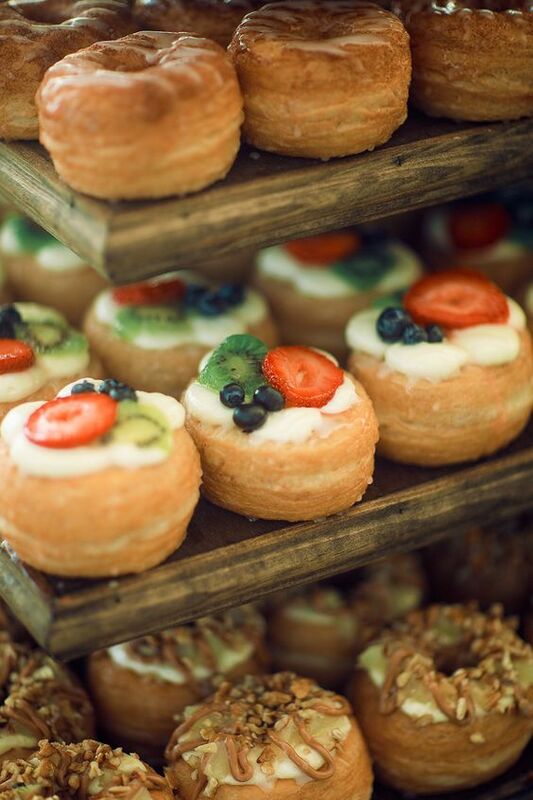 They come in all shapes and sizes, including bite sized bundtinis. People go wild over these delicious desserts! Make sure to save some for yourself, because these will all be gone by the end of the night! 9. Pie: Cherry, strawberry, blueberry, lemon meringue, the possibilities are endless with pie! This dessert works great at a rustic location like a barn. They make mini pies also for easy eating. Make sure to calculate how many pies you will need with the amount of people coming (how many slices per pie) so you don't run into to many leftovers. 10. 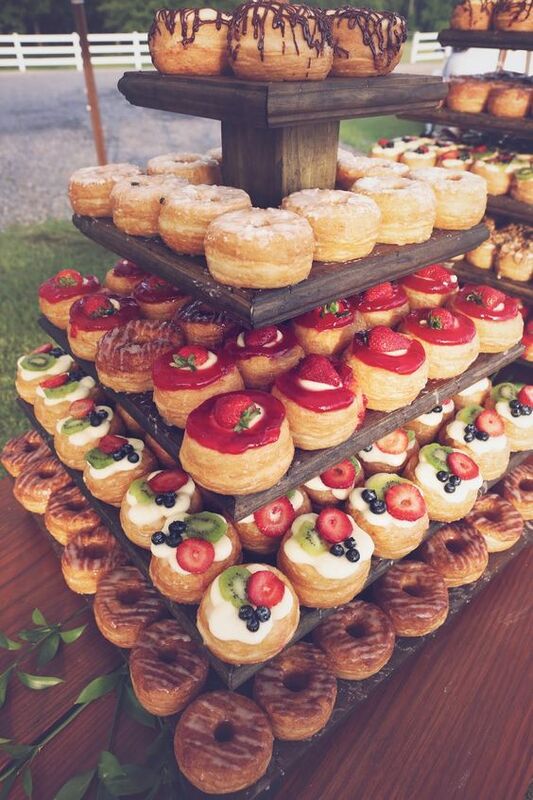 Donuts/Cronuts: The newest dessert trend happening at weddings and people are loving it! 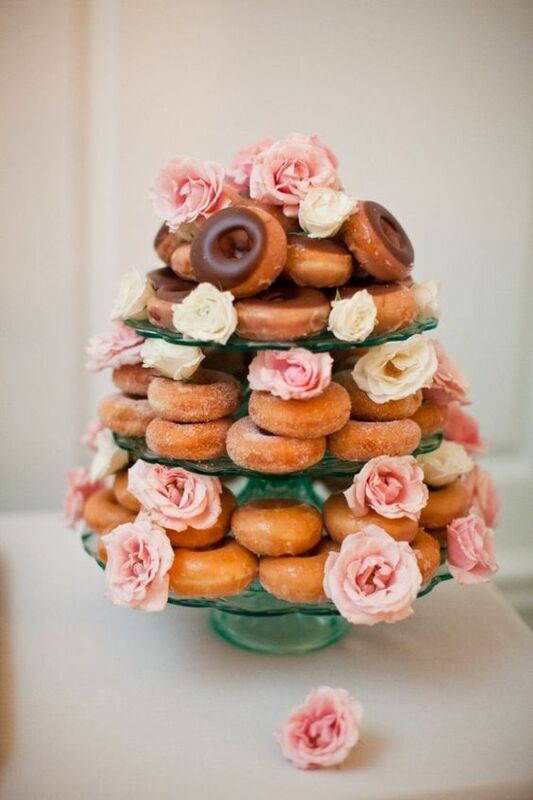 Make donut towers, donut cakes, pick your favorite flavors and toppings. There are tons of fun options for your guests to enjoy! 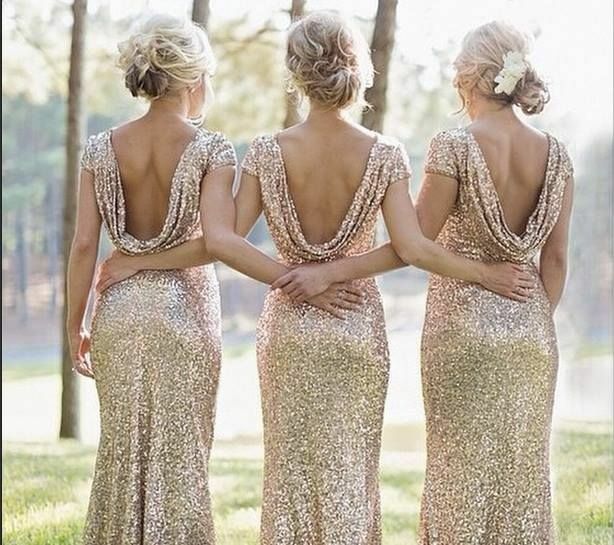 What's Trending for 2016 Weddings?! 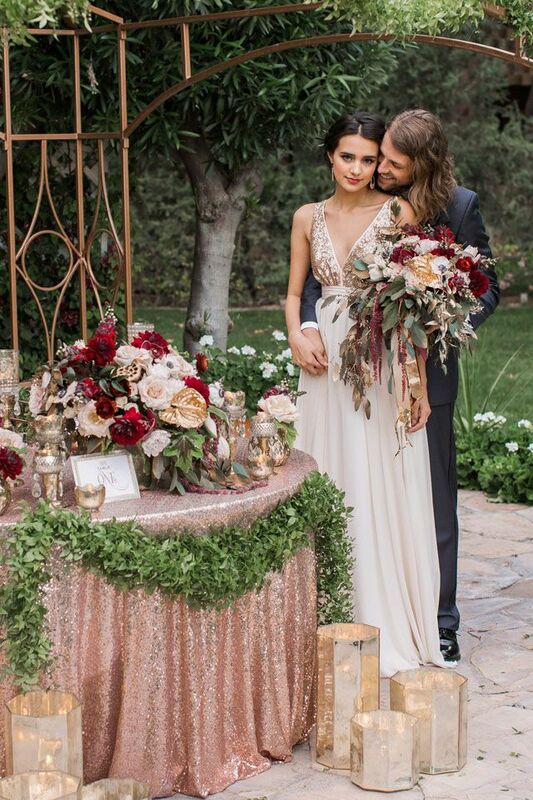 It's a new year and that means a whole new round of wedding trends! Time to explore some of the great new ideas popping up! 1. Metallic Everywhere! 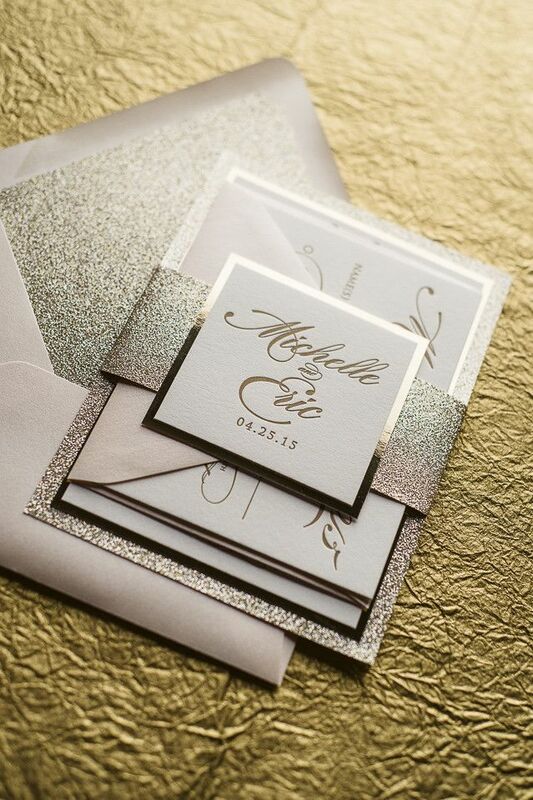 From the invites, to the bridesmaids dresses and even the table linens, metallic is the new, trendy look for 2016 weddings. 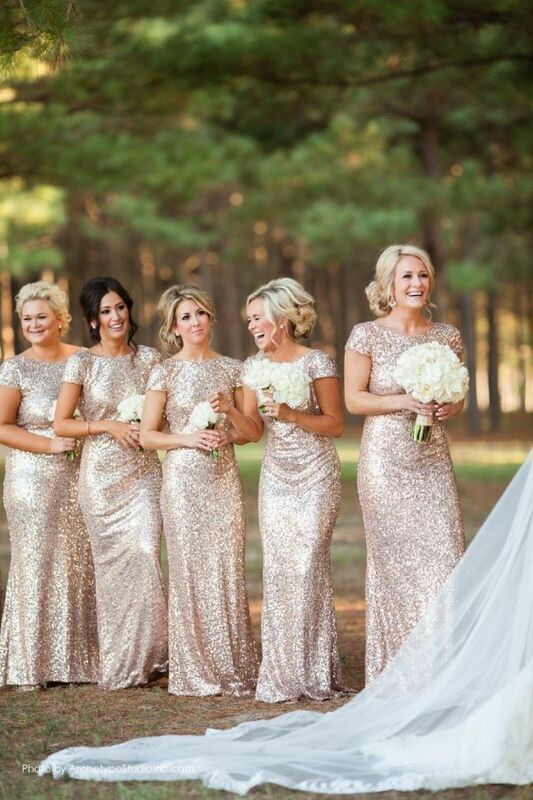 Metallic colors can go with any time of year and can blend in well we almost any color palette. 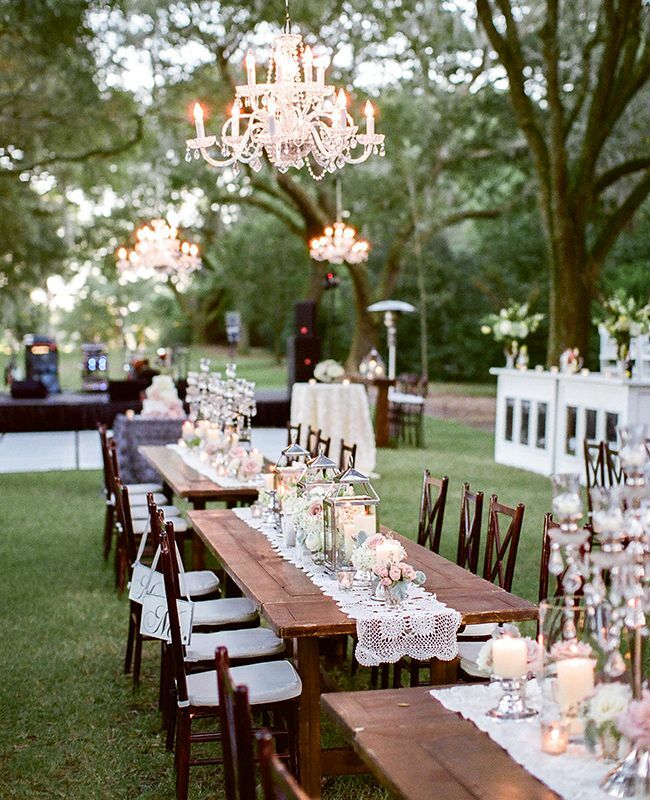 It adds elegance and whimsy no matter what the theme of the wedding. 2. Wedding Dress Styles! Tea length gowns are big this season. Illusion necklines, keyhole backs and V-necks are also huge trends for bride's in 2016. The biggest trend for bridal gowns seems to be original/unusual styles. Bride's are showing off their personalities more and more in their bridal gowns. 3. Hand Written Invites! 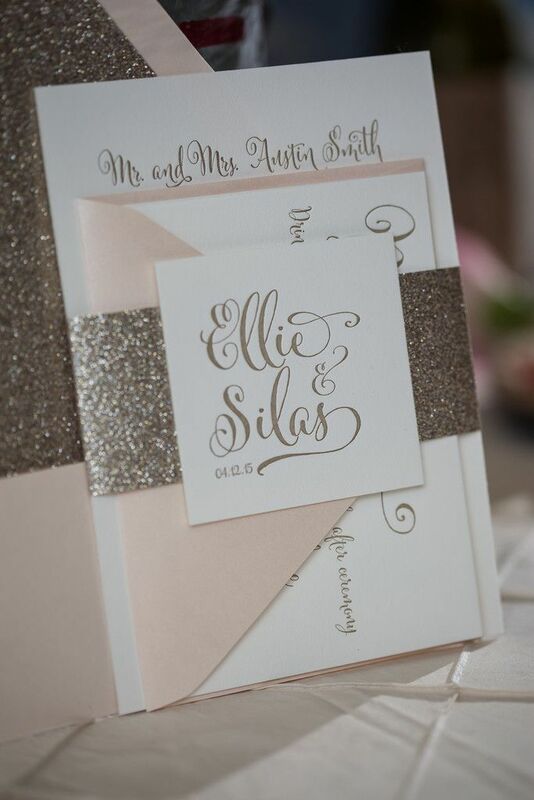 Handing writing your invitations can add a wonderful personal touch to the day. Custom paper is big this year also and can help represent the couple in a number of ways (think invites shaped as iconic buildings or states). A fun alternative to the normal invites. 4. No Travel Destination Weddings! Can't afford to have your wedding in your favorite city? Not a problem! This year's trend is to bring your favorite destination location to your current location. You can incorporate elements from special places through decor, music or food. 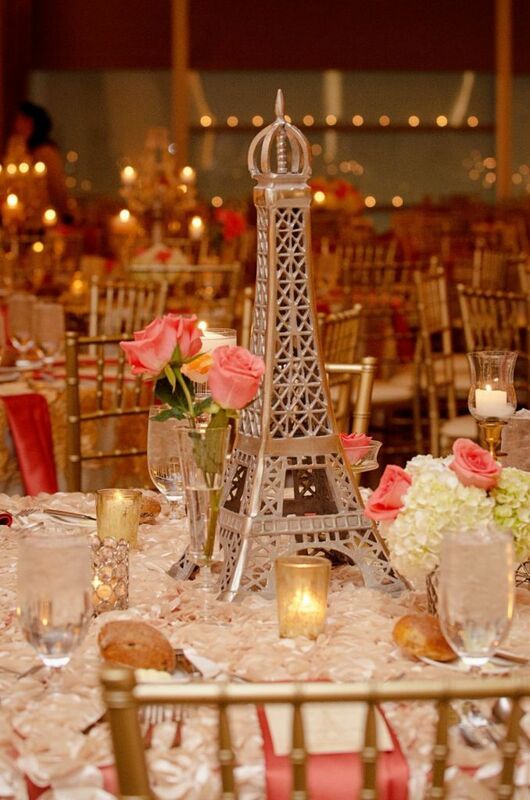 Eiffel Tower centerpieces, Moroccan food or Irish step-dancing are just some of the ways to highlight your favorite places without the travel expenses. 5. Naked Cake! More delicious and unique than it sounds, naked cakes are a HUGE trend in 2016. 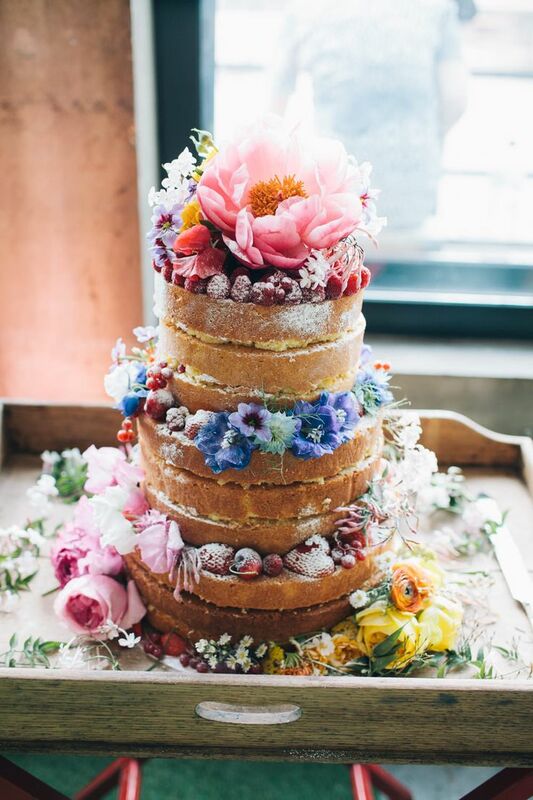 Naked cakes are unfrosted or partially-frosted cakes, decorated with flowers or berries. 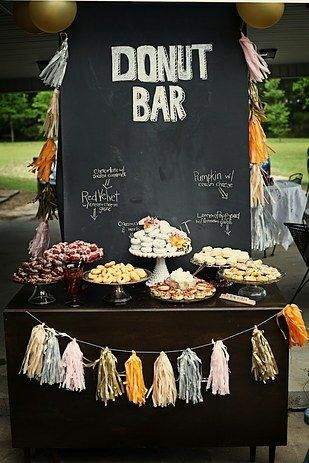 They add a beautiful, rustic look to the wedding and will be a fun talking point for your guests. 6. Lights, lights and more lights! The more lights the better in 2016. 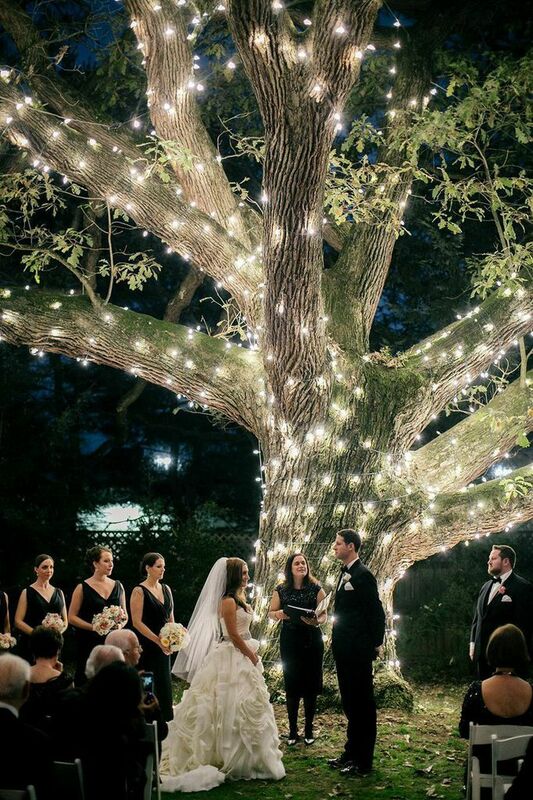 Couple's are adding as much lighting as possible to their special day. From chandeliers to strings and bulbs to hundreds of candles, people are getting creative with how and where to hang their lights. 7. Bright Colors! 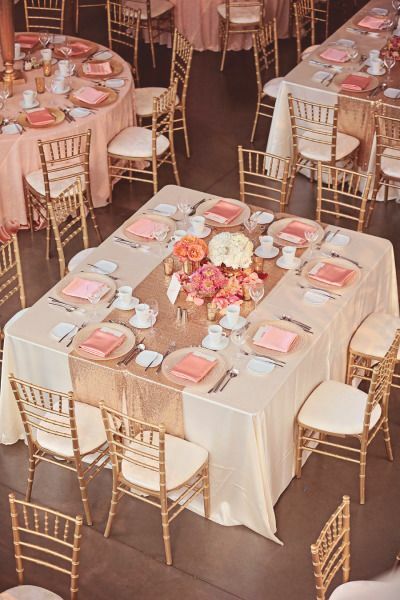 Warm color pallets will always be trendy for weddings, but 2016 is all about bright and vibrant color pallets! Think reds and oranges and yellows. 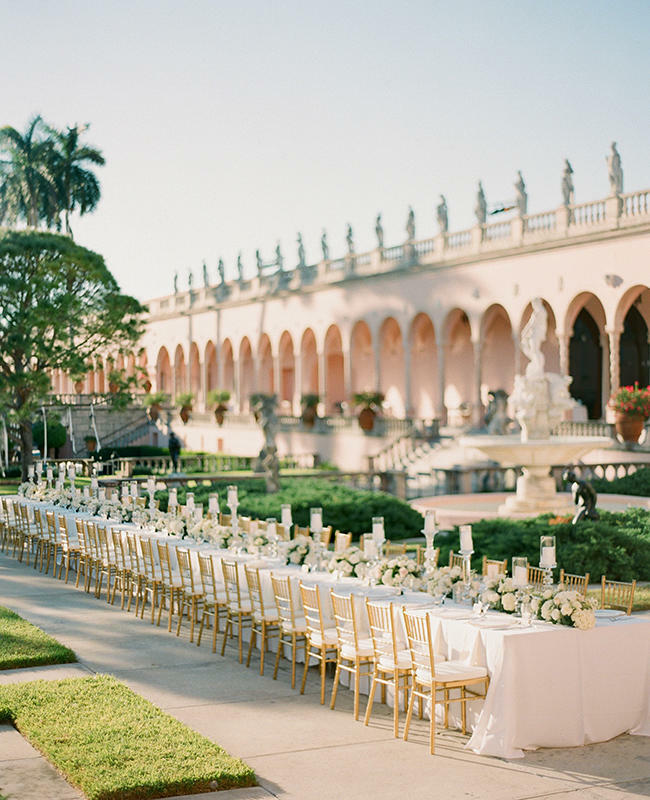 You can add a splash of color here and a pop of color there or have the whole wedding covered in bright hues! 8. Garden Flowers/Unconventional Flowers/Non-Floral Centerpieces! Flowers are expensive. A great way to save money in 2016 is to head to the farmers market and pick up whatever is available. You can have fun making the arrangements and save some money. Unconventional flowers, such as succulents, ferns and herbs, are big this season as well. Another great way to save money on flowers? Don't use them. 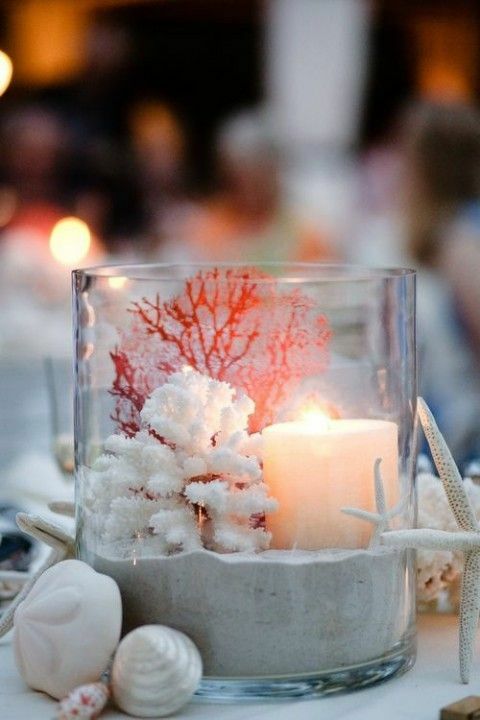 Having a non-floral centerpiece, like candles or pictures, is unique and cheap. 9. Table Alternatives! Round tables are becoming a thing of the past. 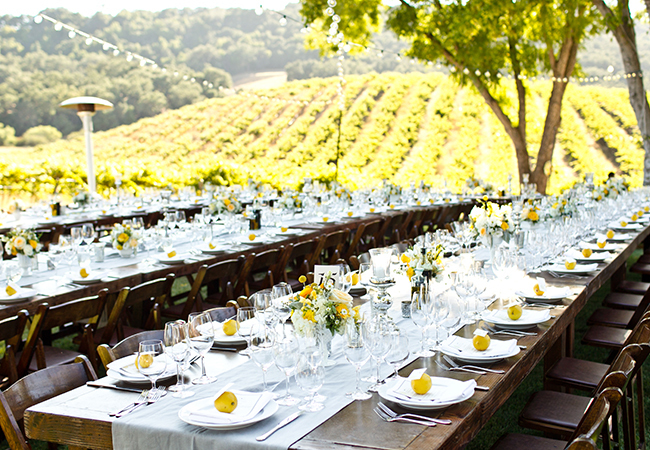 Couple's are now leaning towards using square, rectangle and even banquet tables for their wedding's. Farm tables are another great alternative. They are beautiful all on their own, saving you money on linens and elaborate centerpieces. 10. Food Options/Craft Beer/Dessert Alternatives! Dietary restrictions are on the rise so it is important to offer options for your guests. Gluten free, vegan or lactose free, to name a few. Most caterers are good about working with you to create a menu that will please everyone. Craft beer is booming this year and makes it the perfect time to incorporate it into your big day. 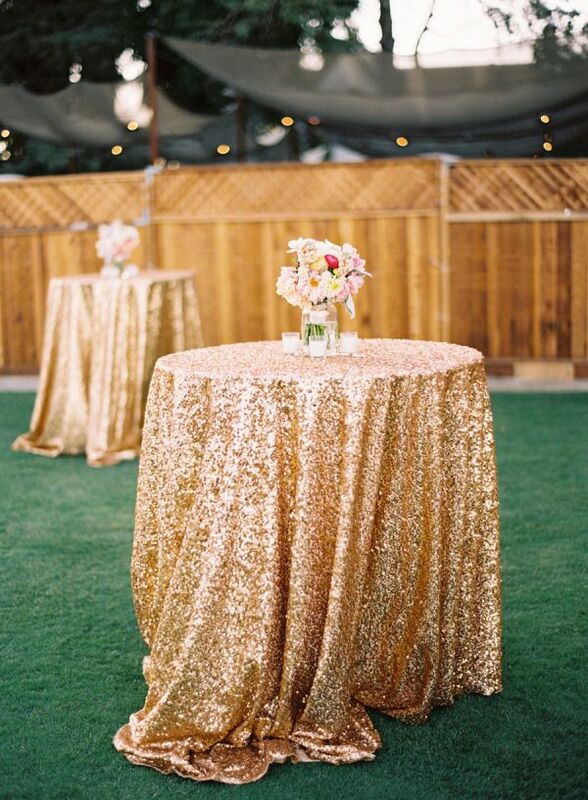 Bring the beer garden to your reception! Big in 2016 is alternate dessert options. People are moving away from just having wedding cake (or from having the cake at all). 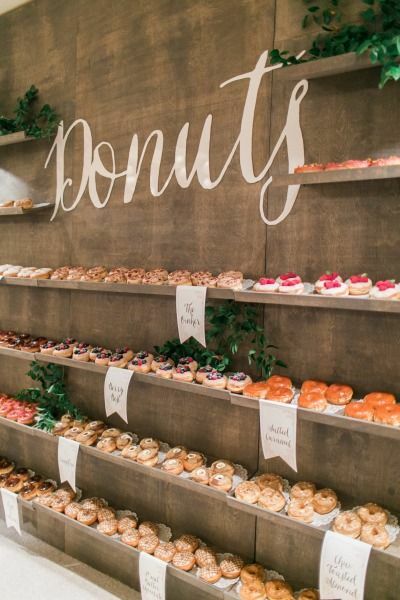 Donut bars, make your own sundae stations and cupcakes are very in trend this year. 11. Candid Shots & Videography! Posed wedding photos are great, but what's big this wedding season are the candid shots. Mom wiping away her tears, dad seeing his little girl in her dress for the first time, or a stolen moment between the couple. These are the real moments that make a wedding special. Want to relive your big day over and over? Videography is the best way to make that happen. Most videographers will cut together a highlight reel of the day and give you the raw footage. We hate SPAM and will protect your information. 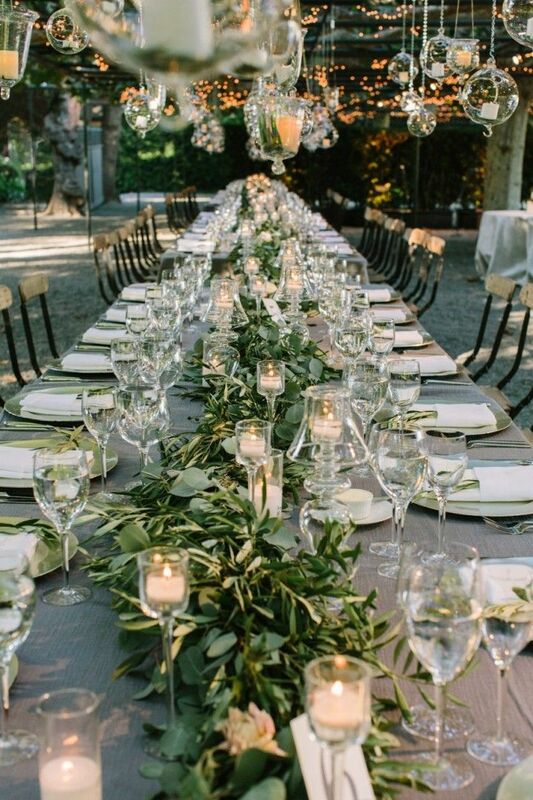 Want to see photos or weddings we just did and get great tips on everything from seating assignments to decor?